This is such an interesting and encouraging post, thank you! It's good to read about how you see yourself in your creative role and I especially love what you say about 'seeing yourself' in everything that you make. I'm doing some thinking myself this holiday time and you've helped a lot to consolidate my thoughts. Thanks! Thanks for your comment. Hope you have a fantastic 2009. I'm sure I will be visiting your shop for some of your lovely prints. I get lots of comments on them. This is a truly inspirational post. I totally agree with your sentiments and aspire to your success. 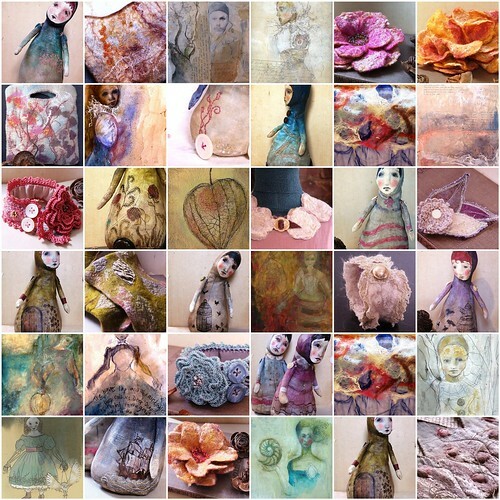 I love your work which I first came across on flickr and I aspire to be a customer, your dolls are exquisire.